Grab the red orbs and return them to the generator. Avoid the other enemies on birds. Knock bandits off for bonus points. But be careful you don't bet knocked off yourself!Look out for the weather! It can slow you down or even knock you off! Be careful! If you want to play Condor Cowboys games online you have come to the right place! GamesLoon adds new Condor Cowboys games every week. This is your game portal where you can find the biggest collection of free Condor Cowboys games online. 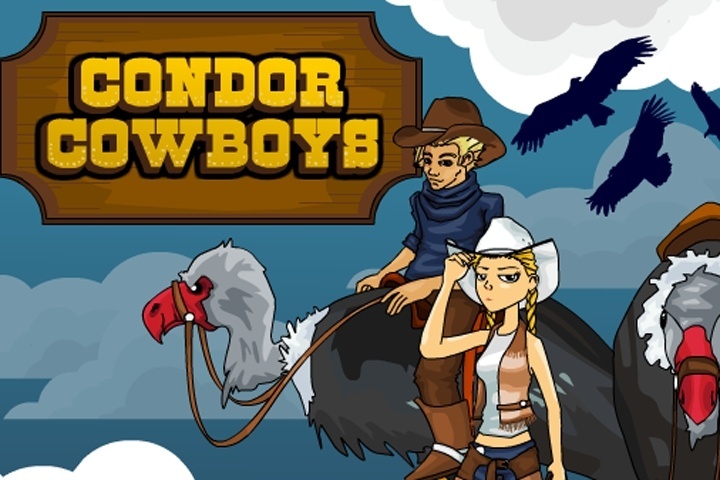 Do not forget to rate our Condor Cowboys free online games while playing!